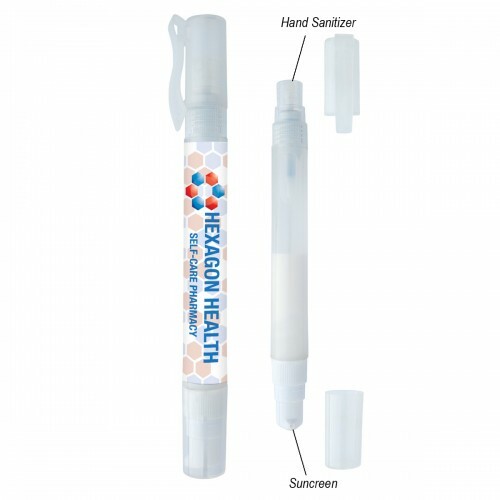 Offer customers double protection with a convenient and portable personalized sunscreen and hand sanitizer spray! 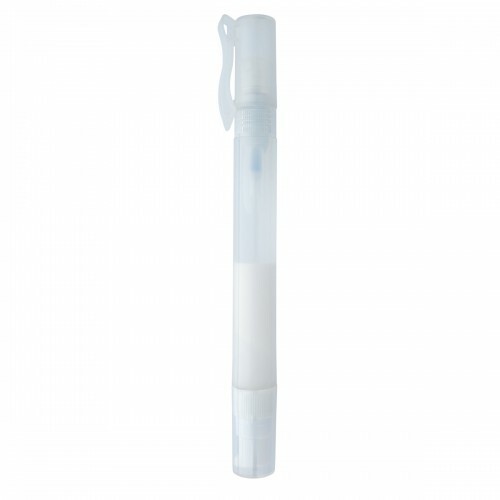 Perfect for people on the go, this unique promotional item features a clear 2-in-1 spray bottle with sunscreen on one end, and hand sanitizer on the other. This customized SPF 30 sunscreen spray is broad spectrum rated to meet FDA requirements, and protects skin against both UVA and UVB rays, reducing the risk of sunburn, skin cancer and premature aging. 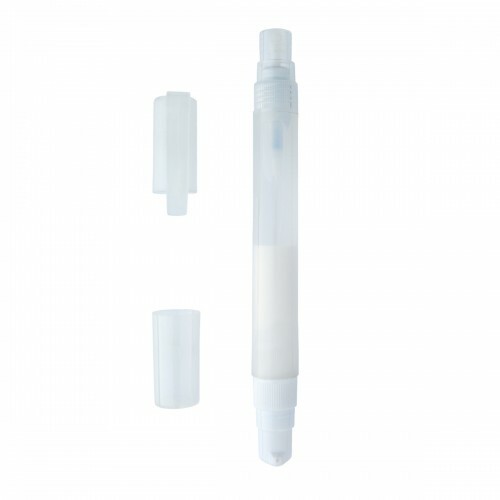 The lightly scented hand sanitizer is effective at eliminating over 99.9% of germs and bacteria to keep hands clean and fresh no matter where you are. 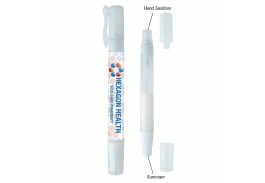 Custom sunscreen and hand sanitizer make a great giveaway for tradeshows, golf tournaments, company picnics, sporting events, or any other outdoor event. A four color imprint on a white label is included in the price to highlight your company logo or event theme.